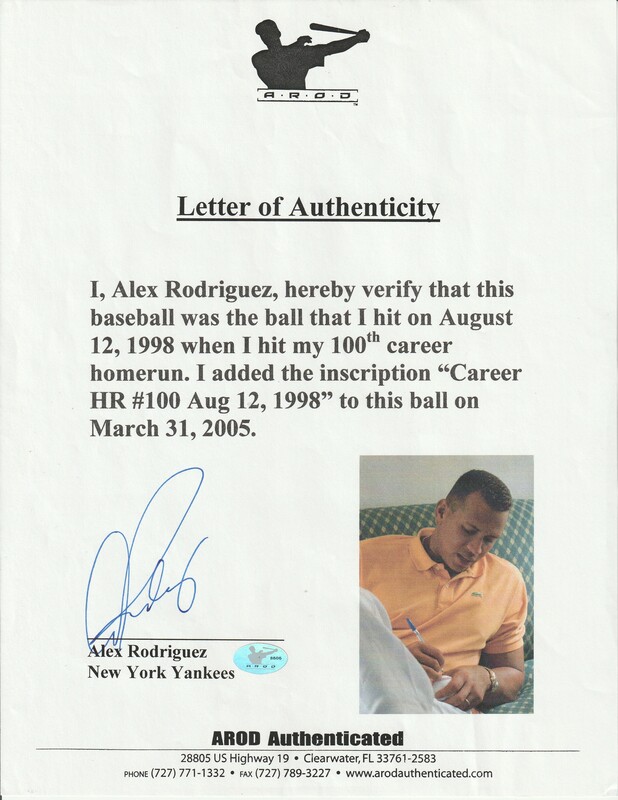 Alex Rodriguez became the fourth youngest player in history to reach the 100 HR mark when he took Toronto Blue Jays pitcher Nerio Rodriguez deep to left field for a home run on August 12th, 1998 at SkyDome in Toronto. 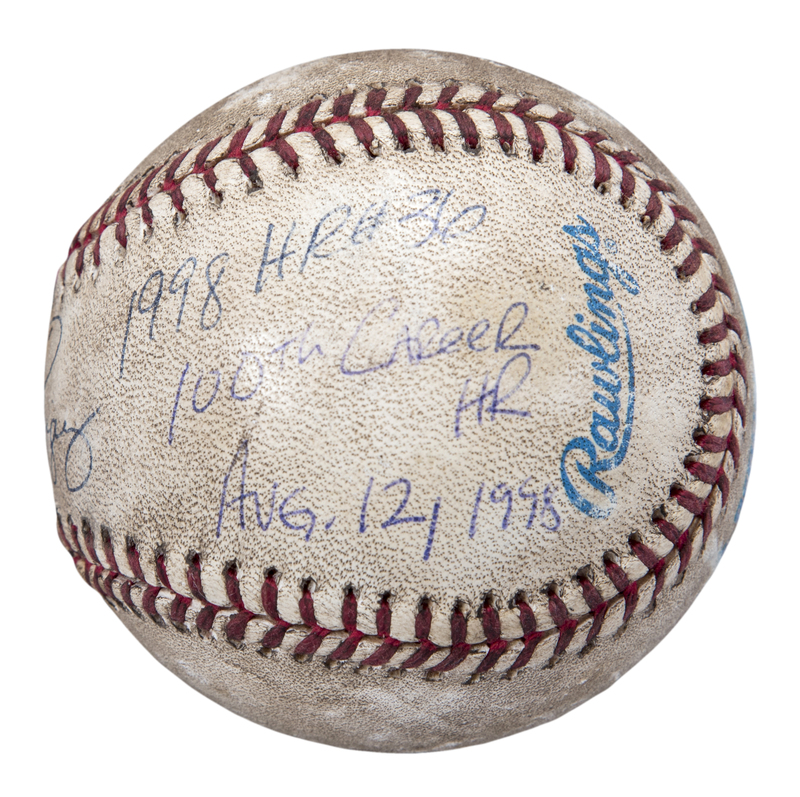 Rodriguez joined Mel Ott, Tony Conigliaro and Eddie Mathews as the four youngest players to reach the 100-career home run mark. 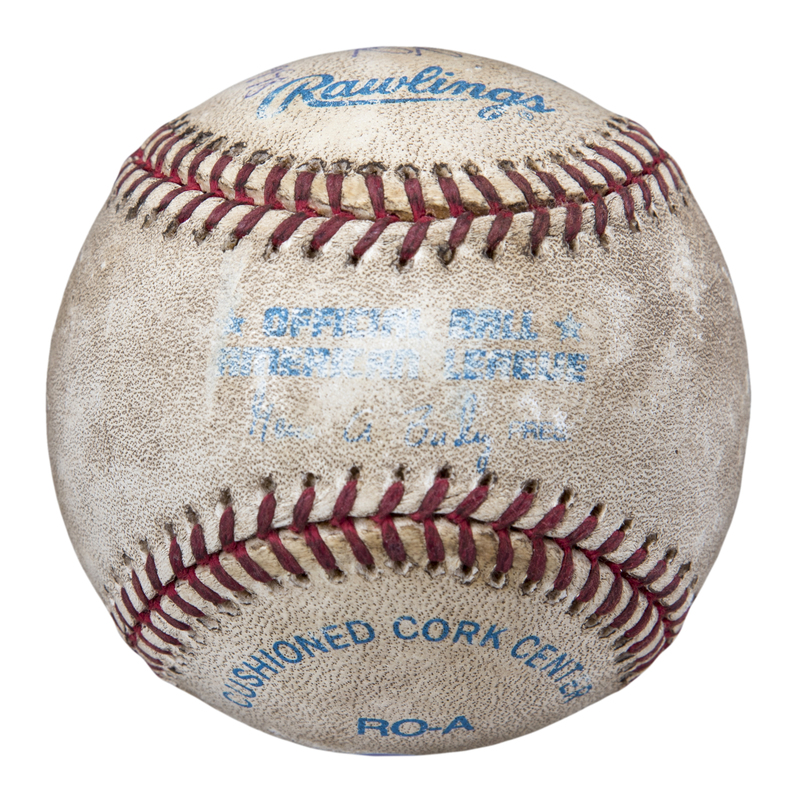 A-Rod’s seventh inning home run was also the 36th of the 1998 season. 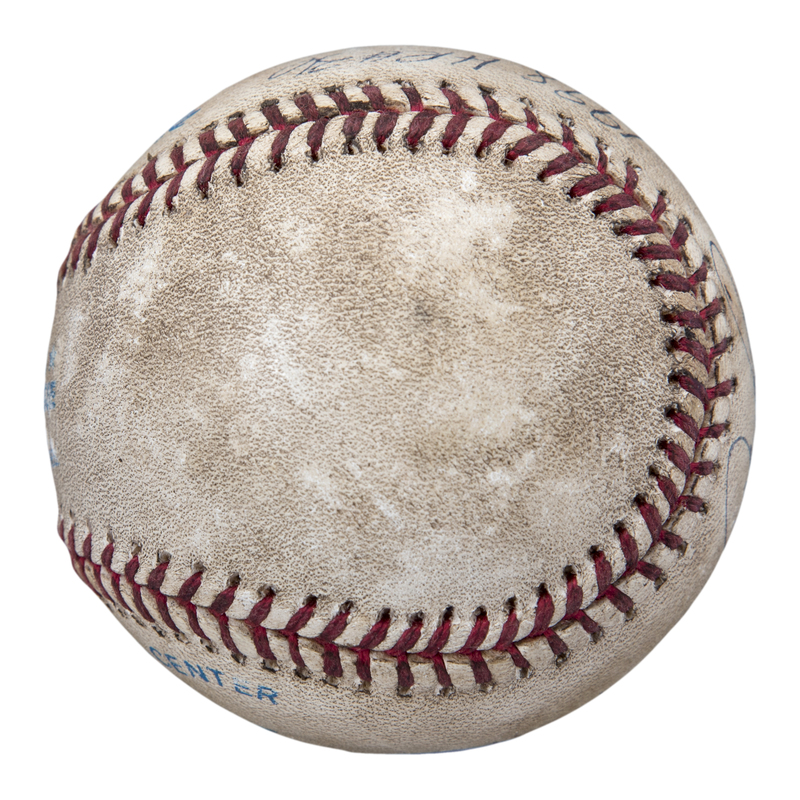 1998 was the first season in which Rodriguez topped the 40-home run mark as he finished the season with 42 round-trippers, while adding 124 RBI and a .310 batting average. A-Rod also led the American League in hits with 213 was a recipient of the Silver Slugger Award. 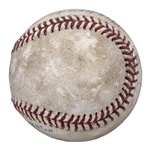 This offered baseball is the very baseball that Alex Rodriguez hit for his 100th career home run of his career and 36th home run of the 1998 season. 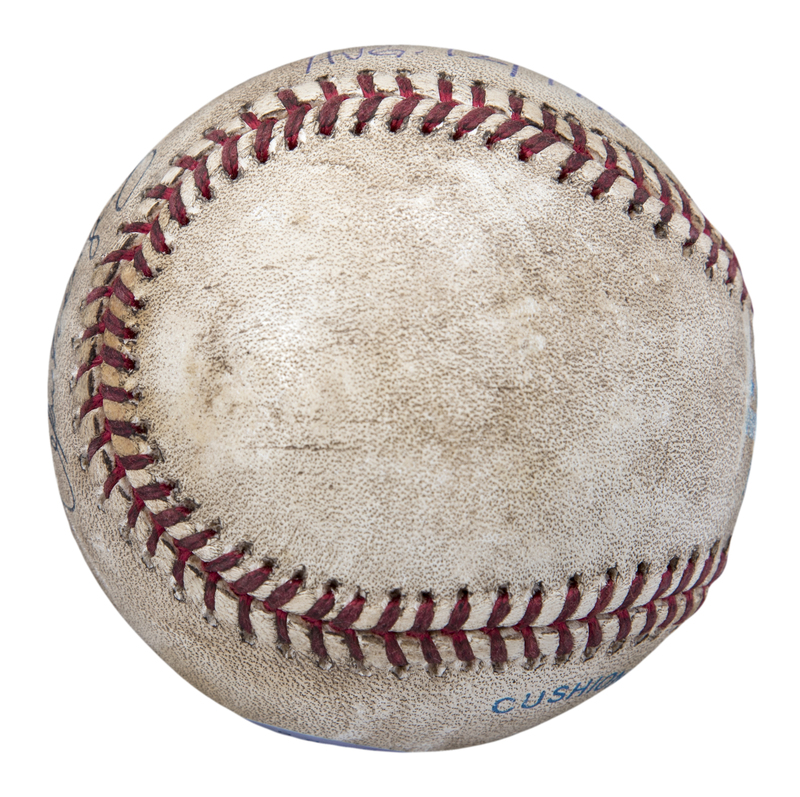 This Official American League Gene A. Budig baseball displays heavy game use with abrasions, scuff marks and toning. 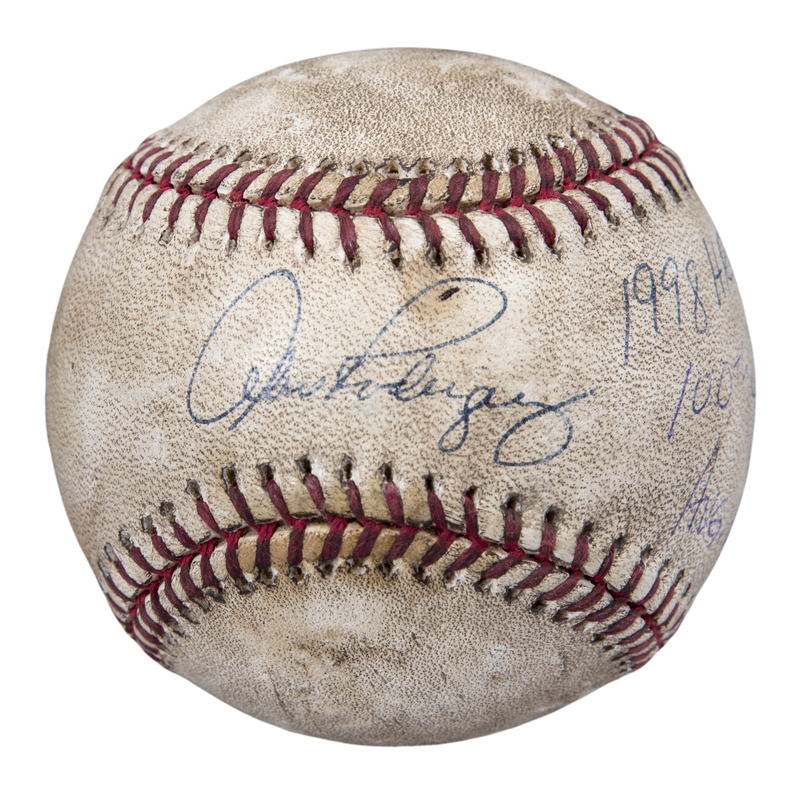 Rodriguez signed this historic baseball in blue pen across the sweet spot. 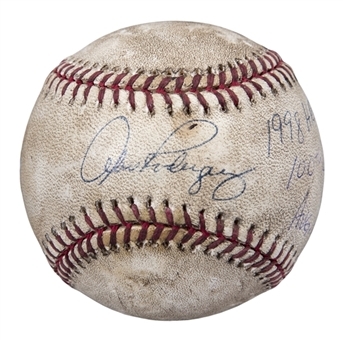 A-Rod also inscribed “1998 HR #36”, “100th Career HR” and “Aug. 12, 1998” on the adjacent panel. 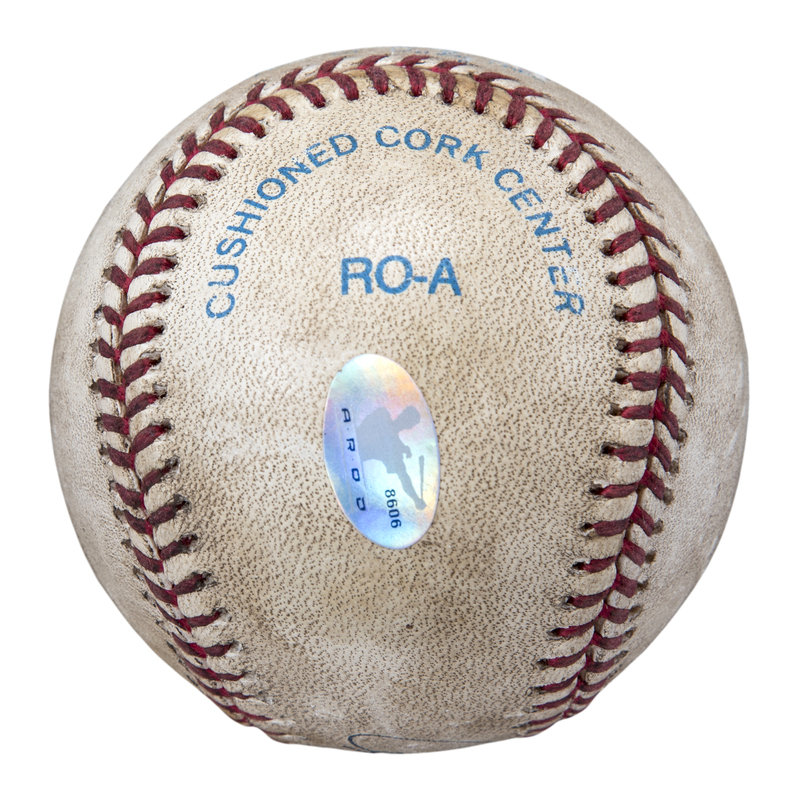 This baseball comes with a LOA from Alex Rodriguez, who attests that this is the actual home run ball for his 100th career home run and that “I added the inscription “Career HR #100 Aug 12, 1998” to this ball on March 31, 2005.” The LOA from Rodriguez has an AROD hologram both on the ball and the LOA with the ID #8606.